There’s no doubt that a state-of-the-art transportation management system (TMS) has a proven ROI. According to ARC Advisory Group research, TMS users can save an average of 5–10 percent of their freight spend. Once more, as TMS prices have decreased over time—while capabilities have increased—just about any size business can now afford to employ the technology. TMS platforms are more affordable and accessible than ever due to technology advances and the growth of cloud applications. At one time, the TMS was only accessible to the largest businesses and budgets, and it’s main capabilities were tracking and basic rate and customer management functions. 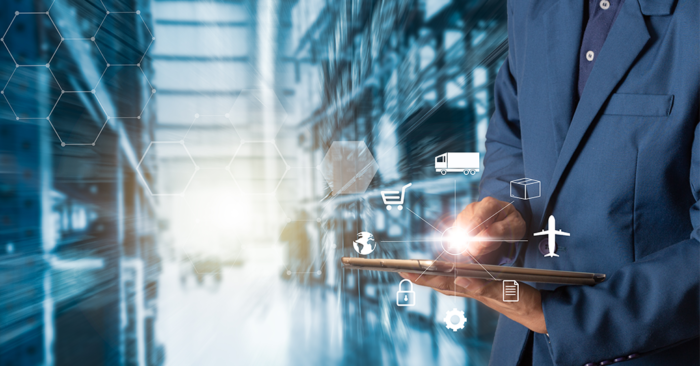 Now, modern TMS systems encompass all aspects of the supply chain, from the time the order is placed until invoicing, and every step in between. Companies that use a TMS value these main benefits, highlighted in the article, “Making the case for TMS implementation” by FreightWaves. Lower costs through more effective route planning and consolidating shipments. Increase customer retention by improving service levels. Decrease administration costs while simultaneously reducing errors. Offer your customers more options by accessing a larger carrier pool. Become more efficient by addressing all shipping options and modes on one platform. Provide customers with instant information by monitoring shipments in real-time. Quickly evaluate carrier performance through historical reports. Back-office integration: The TMS should integrate easily with back-office systems like ERP, (enterprise resource planning), warehouse management and order management software. Supports all transportation modes: Ensure the TMS enables sourcing, procurement, planning, execution, visibility, performance management and settlement across multiple shipping modes, like LTL, truckload, intermodal and expedite. Secure and reliable: You can’t afford any downtime, so choose a highly secure TMS that will protect you from data breaches and outages. Additionally, whether your TMS is cloud-based or installed on company computers, make sure it offers robust backup capabilities. Analytics and visibility: Choose a TMS that provides visibility into the shipping process and can generate all the reports you need to measure key performance indicators and network efficiency. Machine learning capabilities and features give TMS platforms the ability to use collected data, combine it with real-time reporting and analytics, and provide recommendations that drive savings. Adaptable and agile: Companies are continually evolving their TMS capabilities. An open architecture design allows you to upgrade to new features and enhancements anytime. A TMS should also have easy–to–use rules engines, configuration capabilities and workflow management that doesn’t require in-house IT resources. Easy to use: Choose a TMS that’s easy to use, configure and maintain. Systems with an exceptional user interface have lower lifetime ownership costs because they demand fewer internal resources to setup, operate and maintain. Also, look to your TMS vendor to provide essential engineering services when needed. Connects with all carriers: There are thousands of carriers in the country operating tens of thousands of assets. Ensure that your TMS can connect with a large network of national, regional or local asset providers to book, track and analyze all your shipments with one system. Your TMS should also help you improve your processes for onboarding any new carrier or provider. Improvements to TMS software over the past few years have brought us to a state where the systems are more powerful than ever, yet there’s an affordable option for any company wishing to take the plunge. When selecting a TMS, take enough time to explore your options and find a system that fits your company’s needs today, and expansion capacity for tomorrow. Drive efficiency into your supply chain. Get a Demo of the GTZ TMS Platform.